It’s more fun to believe in a world where magic can possibly exist but then you see a different camera angle of a cool magic trick and realize it’s all just misdirection, tricks, and fantastic finger dexterity. 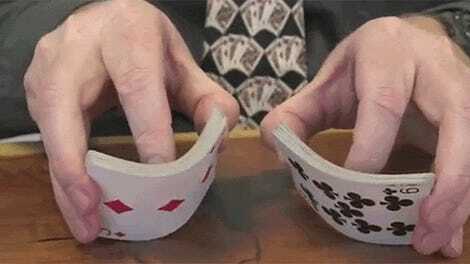 But still it’s worth it just for that brief moment where you absolutely have no idea how the magician did that. Here’s Oscar Owen teasing you with three tricks you can do with a coin—making a coin teleport, disappear, and switch hands—and then crushing you as he explains how he pulls it off (it can be as simple as pushing the coin off the table).